The founder of Kumasi-based King Faisal FC, Alhaji Abdul-Karim Gruzah, has reiterated his desire to contest the presidency of the Ghana Football Association (GFA) to lead Ghana football back to glorious years when the GFA Normalisation Committee (NC) gives the green light for elections for Executive Committee positions. The experienced football administrator is one of many leading personalities who have expressed an interest to run the top position which has been vacant since the FA’s long-serving president, Kwesi Nyantakyi, resigned last June in the aftermath of a corruption scandal that hit the administration of the game. Mr Nyantakyi, who led the GFA for 13 years, was subsequently handed a lifetime ban by football’s world governing body FIFA for violating its code of ethics. “I have already tested the waters and realised that I stand a good chance to be given the nod to lead the crusade of reversing the dwindling fortunes of Ghana football. While some of the interested parties for the GFA top post have started vigorous campaigns on radio and television, I am not in haste to do so. 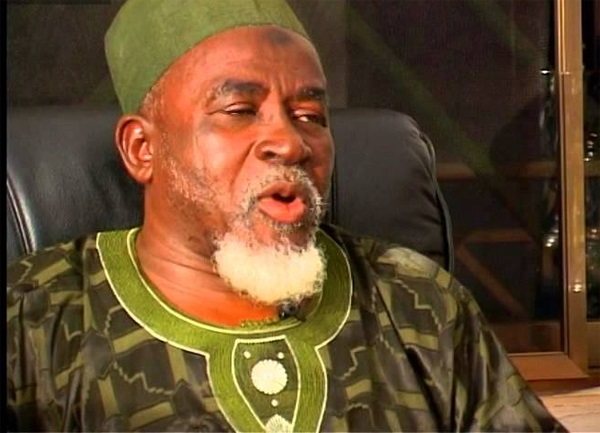 I know all the delegates across the country and know how to interact with them individually to win their support,” Alhaji Gruzah told the + newspaper in an exclusive interview in Accra. For the straight-talking Faisal boss, he would focus on committing resources to develop local talents and also paying attention to the welfare of players to keep the best talents in the country to make the Ghana Premier League more attractive. He explained that his priorities as FA president will include raising the standard of the game for sustained successes through building the capacity of local coaches who would be attached to high profile teams in Europe to be abreast of new trends in the game. He indicated also that officiating would also attract his attention by ensuring policies and actions that ensure that referees operated more professionally to make the league more competitive and attractive. “When elected as GFA president, I will also not surround myself with bootlickers who will be singing my praises even when I am in the wrong direction. Instead, I will bring on board people with foresight, insights and commitment to develop the sport as it used to be during the time of the late Ohene Djan when Ghana football was on top in Africa". For the 72-year-old Alhaji Gruzah, who formed King Faisal as a colts club in 1967 and supervised the club’s development up to the Premier League, he believes he is more experienced and better placed to lead Ghana football’s revival than the other candidates hoping to succeed Mr Nyantakyi. “I am advanced in years and have spent much of my life as a football administrator not only at the elite division but also at the juvenile level. I have so much experience in football and ready to offer myself to help in transforming our local football to make it more attractive to local and international sponsors,” he assured. Expressing concern about the rot in the sport that forced the government and FIFA to intervene with the establishment of a Normalisation Committee, Alhaji Gruzah said the time had come for people with experience, expertise and integrity to run Ghana football.